Jewish Family Services has launched a new tenant community liaison (TCL) position to provide stability and support for JFS clients receiving a Tikva Housing subsidy or who are housed in one of Tikva’s rental buildings for low- and moderate-income Jewish adults and families. The purpose of the TCL position, which is funded by the Ben and Esther Dayson Foundation and a grant from the federal government, is to increase the long-term success of housing vulnerable and at-risk Jewish community members. 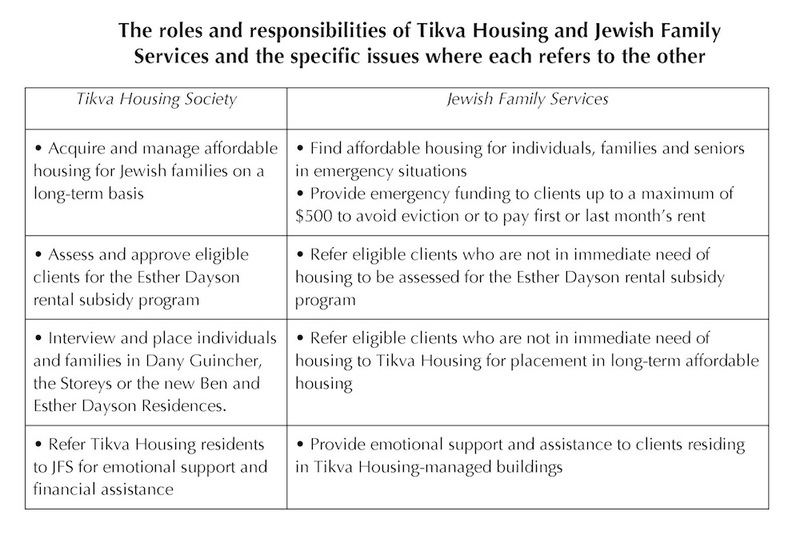 The new TCL will act as a link between JFS and Tikva Housing to ensure that tenants who need support are settled in successfully and to help them understand their roles, rights and responsibilities. In addition, the TCL will provide workshops and counseling, as well as community-building activities, such as holiday celebrations and networking events. Tenants will also learn about appropriate services or resources. Affordable and social housing has become a critical issue in the Lower Mainland for almost all income levels. Following the trend in the general population, the part-time JFS housing coordinator has seen more than a 20% increase in the number of people asking for assistance, with an average of 55 new calls a week. In the city of Vancouver, monthly rent of $1,730 for a one-bedroom unit is considered affordable. When a person on disability makes a yearly income below $18,000 per year and the minimum wage is $12.65 an hour, it is not surprising that the percentage of homelessness has increased by 30% since 2014. The 2017 Homelessness Count in Metro Vancouver confirmed that some of the main barriers to finding housing are the high cost of rent and the lack of income and shortage of units that suit clients’ needs. This year, Jewish Federation honoured, for the first time, an organization outside of the Jewish community. The inaugural recipient of the honour was the Vancouver Police Department. At its annual general meeting June 19, the Jewish Federation of Greater Vancouver honoured four volunteers: Alex Cristall, Judi Korbin, Judith Cohen and Courtney Cohen. It also honoured, for the first time, an organization outside of the Jewish community – the Vancouver Police Department. On June 18, L’Chaim Adult Day Centre celebrated its first 100th birthday, with program participant Beverly Klein. 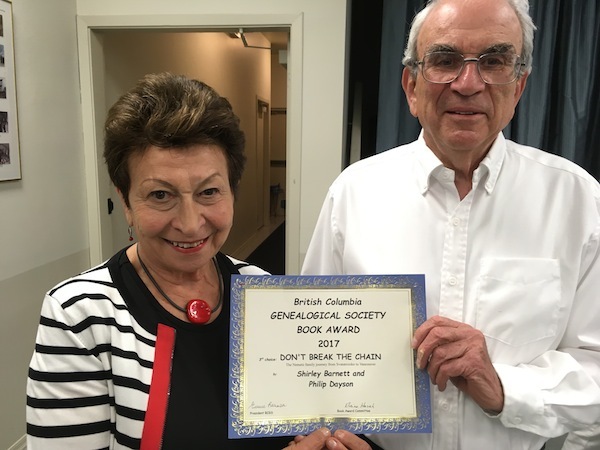 On the evening of June 13, siblings Shirley Barnett and Philip Dayson were honoured with the B.C. Genealogical Society Book Award. 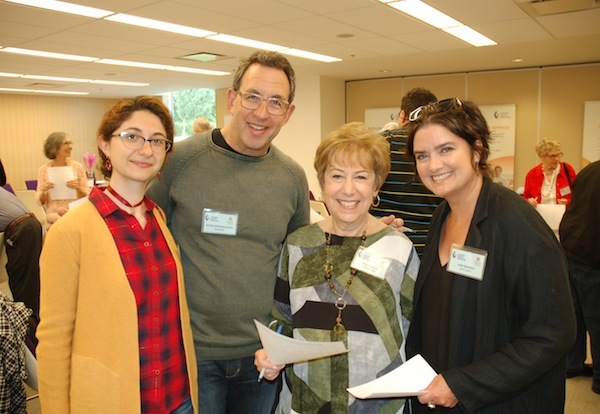 On the evening of June 5, Jewish Family Services held its first annual Volunteer Appreciation Event, celebrating the dedicated volunteers of JFS and the Better at Home program. Louis Brier Home and Hospital has successfully achieved accreditation with exemplary standing from Accreditation Canada. Among the B.C. 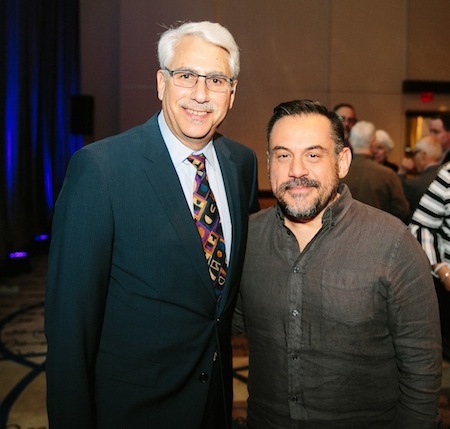 Civil Liberties Association’s Liberty Award winners on May 17 were Ken Klonsky, for excellence in the arts, and Peter Klein, for excellence in journalism. At its annual general meeting June 19, the Jewish Federation of Greater Vancouver honoured four volunteers. Alex Cristall was presented with the Harry Woogman Award, which recognizes a volunteer who leads consistently and conscientiously by example and has long-standing and diligent campaign involvement. Cristall is the outgoing annual campaign chair. His dedication and commitment to leadership excellence has made an enormous impact on Federation and the community as a whole. Judi Korbin was given the Arthur Fouks Award, which honours leaders who demonstrate dedication to the goals and principles of Jewish Federation and who provide outstanding leadership to the annual campaign. Korbin is the outgoing chair of Federation’s endowment program, the Jewish Community Foundation, and is a past chair of the annual campaign. The Kipnis-Wilson/Friedland Award went to Judith Cohen. As a past volunteer chair of women’s philanthropy, Cohen is no stranger to philanthropic work. She draws the inspiration for her community involvement from having grown up seeing her parents “pour their time and energies into the Jewish community.” She received the Kipnis-Wilson/Friedland Award from Jewish Federations of North America for demonstrating the highest ideals of leadership and involvement. The Young Leadership Award was presented to Courtney Cohen for her extensive volunteer work with many Jewish organizations around Greater Vancouver. Just two examples among many are her involvement in Federation’s Axis program for young Jewish adults as the co-chair of the leadership development pillar, and her founding of Rose’s Angels, a care-package project created to honour her grandmother. This year, Jewish Federation also honoured, for the first time, an organization outside of the Jewish community, with the first recipient of the honour being the Vancouver Police Department. “Our Federation has had a long and valued relationship with the department and our staff have been able to count on their assistance and intervention during crisis situations and high-profile events attracting protesters, as well as being willing to provide education and training to our communal professionals on an as-needed basis,” said Bernard Pinsky, chair of Federation’s community security advisory committee, in presenting the award, which was accepted by Deputy Chief Lawrence Rankin on behalf of the VPD. 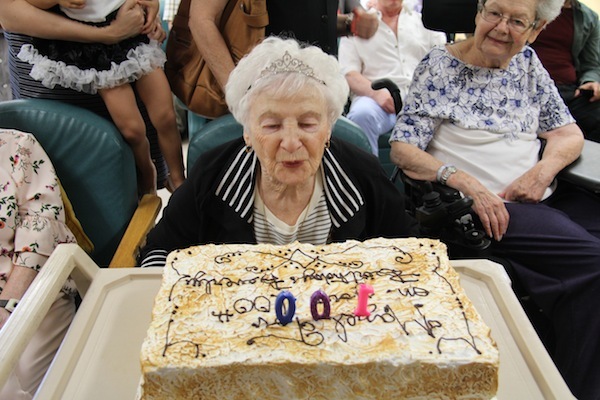 On June 18, L’Chaim Adult Day Centre threw a party for Beverly Klein’s 100th birthday. On June 18, L’Chaim Adult Day Centre celebrated its first 100th birthday, with program participant Beverly Klein. Four generations of her family, friends, fellow program participants, L’Chaim board members, staff and volunteers, as well as Jewish community leaders, threw a party at L’Chaim to commemorate her reaching this milestone. Knowing her love of music, she was honoured with the musical talents of Allison Berry, who performed classics from the 1940s. Beverly was delighted to receive congratulations and warm wishes from Prime Minister Justin Trudeau and the Queen’s representative, the governor general of Canada, Julie Payette. A much-loved program participant since 2013, the birthday girl was born in Poland near Warsaw in Meserich, and was one of 11 children. A story treasured by her children is Beverly’s childhood memory of preparing for Shabbat by “building a floor” and “doing the stove” – her home’s dirt floors had to be swept and pounded down, and Beverly would pile up the bricks for the oven, which was then whitewashed. Her family immigrated to Canada in 1929 with only the clothes on their backs, which were sewn from potato sacks. During the Second World War, Beverly came to Vancouver to spend time with her sister Ruby, and she met her husband Dave. They married and had two daughters and a wonderful life together. Beverly continues to live in her own home because of the love and devotion of her family. The Turnbulls – Wendy, husband Steve and boys Ryan and Gavin – and the Blonds – Arlene, husband Les and children Amanda and Ben – are all devoted to their mom and bubbie. The L’Chaim Adult Day Centre strives to improve the quality of life of its participants by providing a caring and stimulating group experience for those who might otherwise be socially isolated, while also providing support and respite for care-giving families and friends. It is funded in part by Vancouver Coastal Health, Jewish Federation of Greater Vancouver, the Jewish Community Centre of Greater Vancouver and private donations from the larger community. On the evening of June 13, siblings Shirley Barnett and Philip Dayson were honoured with the B.C. Genealogical Society Book Award. Barnett and Dayson were recognized for their book Don’t Break the Chain, which describes the journey of Abraham and Toba Nemetz from Svatatroiske in Ukraine to Vancouver and points in between. Fleeing from pogroms in 1922, Abraham and Toba began a new life in Canada. One of the pages in Don’t Break the Chain outlines how their family of nine children grew into 196 descendants. Family trees and portraits – both individual and group – are part of a fascinating picture of a family whose lives became an important part of both the Jewish and general communities of Vancouver. Barnett thanked the Jewish Museum and Archives of British Columbia for their support and rich accumulation of archival material. For more information, interested readers may access nemetzfamily.ca or the Jewish Museum at jewishmuseum.ca. Congratulations to Shirley Barnett and Philip Dayson for being honoured by the B.C. Genealogical Society, who recognized the positive impact of their family and this book on the history and development of our province. Left to right are Mariam Harutyunyan, Dr. Mark Rosengarten, Linda Glick and Kim Branch. Harutyunyan and Branch are Better at Home volunteers. Rosengarten and Glick are JFS volunteers. On the evening of June 5, Jewish Family Services hosted more than 70 people at its first annual Volunteer Appreciation Event. It was a wonderful opportunity to celebrate the dedicated volunteers of JFS and the Better at Home program, a government-funded service for seniors managed by United Way and administered by JFS. The guest speaker, Dr. Rotem Regev, presented on the value of human connection, empathy and the power of giving back. Richard Fruchter, chief executive officer of JFS, spoke about the commitment of volunteers to the agency, describing “volunteers as the life-blood of JFS.” It was volunteers, he said, who founded the Jewish Family Welfare Bureau of Vancouver (JFS’s original name) when it opened more than 80 years ago to assist the poor and elderly living in Vancouver, and to help resettle new immigrants fleeing antisemitism in Europe. There are more than 170 people who volunteer regularly through JFS and Better at Home, and some have been serving for more than 15 years. JFS’s youngest volunteers are in grades 7 and 8 from Vancouver Talmud Torah and King David High School who help regularly at the Jewish Food Bank. JFS volunteers are responsible for a wide range of work. They support the Jewish Food Bank at the Peretz Centre; seniors lunches and outreach services, such as grocery shopping, visiting and driving to and from appointments; English-language practice for newcomers to Canada; interviewing skills for job seekers; mental health outreach; and administrative support in the office. Chanukah helpers, Passover hampers, Rosh Hashanah activities and Project Isaiah are all programs that rely almost entirely on volunteers. For many individuals and families, these Jewish holiday programs are the only connections they have with their Jewish heritage. For more information on volunteering with JFS, contact Ayana Honig at [email protected] or call 604-226-5151. Accreditation Canada is an independent, not-for-profit organization that sets standards for quality and safety in health care and accredits health organizations in Canada and around the world. Louis Brier Home and Hospital voluntarily participated in accreditation because it believes that quality and safety matter to residents and their families/significant others. Improving the quality of care is a continuous journey – a journey to which Louis Brier is fully committed. As part of the Qmentum program, the home and hospital has undergone a rigorous evaluation process. Following a comprehensive self-assessment, external peer surveyors conducted an on-site survey during which they assessed the organization’s leadership, governance, clinical programs and services against Accreditation Canada requirements for quality and safety. These requirements include national standards of excellence; required safety practices to reduce potential harm; and questionnaires to assess the work environment, resident safety culture, governance functioning and client experience. Results from all these components were considered in the accreditation decision. The accreditation survey team spent four days at Louis Brier, and reviewed a total of 19 required organizational practices (ROPs), 216 high priority criteria and 295 other criteria for a total of 551 criteria. The accreditation surveyors determined that the Louis Brier successfully met 100% of the ROPs and 100% of the criteria evaluated. The B.C. Civil Liberties Association’s Liberty Awards recognize outstanding achievements to protect and promote human rights and freedoms in Canada. Among the 2018 award winners were Ken Klonsky, for excellence in the arts, and Peter Klein, for excellence in journalism. Klonsky, co-author of Dr. Rubin Carter’s Eye of the Hurricane, is a former Toronto teacher and writer now living in Vancouver. He is a director of Innocence International, the organization conceived by Carter to help free wrongly convicted prisoners worldwide. His artistic works call readers to action to defend civil liberties and improve the justice system. His art and advocacy on behalf of those who have been wrongfully convicted has contributed greatly to the advancement of human rights in Canada and internationally. 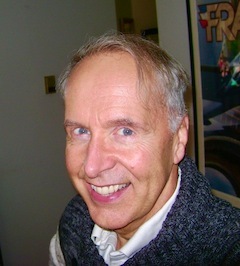 Klein is a journalist, writer and documentary filmmaker. He has been a producer for the CBS newsmagazine 60 Minutes since 1999, produces video projects for the New York Times and writes columns regularly for the Globe and Mail. He is the founder of the Global Reporting Centre, a nonprofit organization dedicated to reporting on neglected global issues and innovating the practice of global journalism. His record of groundbreaking broadcast journalism exposing human rights abuses around the world deserves to be celebrated. His efforts are empowering the next generation to continue to hold the powerful to account. The other 2018 Liberty Awards were Miranda Hlady (youth or community activism), Stockwoods LLP (legal advocacy, group) and Dr. Pamela Palmater (legal advocacy, individual). Hassan Diab, Rania Tfaily and Don Bayne, on behalf of the Hassan Diab Support Committee, were recognized with the Reg Robson Award, which is given annually to honour substantial contributions to the cause of civil liberties in British Columbia and Canada. In mid-April, I attended the Jewish Family Services (JFS) donor appreciation event. My husband and I have always supported JFS and I have always thought very highly of the organization. But, recently, I became more involved and, this year, I joined the board. At my first board meeting, I was blown away by the information I received about what just one facet of the organization does for its clients – the family and adult resources program, which includes helping with food vouchers, medical support, housing, etc. At the next meeting, another group of employees came to discuss their services to seniors, which range from individual home support and care to outreach programs reaching hundreds of vulnerable seniors. Then followed the employees who took care of assisting clients with employment, and settling new immigrants. The list went on … clinical counseling, the Jewish Food Bank, mental health outreach, emergency and transitional housing support, to name a few. About six months in, I am truly amazed by the breadth of services JFS offers and the number of clients they reach, but that’s not even the story. I went to the volunteer appreciation evening event with my husband, as a board member and supporter, the first one we have attended. Some of our friends were there, many of my parents’ friends, some employees and some volunteers of the organization, as well as my dad. A JFS recipient spoke about his experiences with the agency and how much they helped him. He spoke about receiving counseling for depression after the failure of a business, support he was given to find work and on how to prepare his resumé after not having done so for decades. He then described the help he was given to prepare for job interviews and on how to present himself. He also praised other JFS services, such as the food bank, help with finding new housing and counseling after his divorce, and said he felt supported through these difficult years. All of a sudden, it hit me! It was true. My mom and dad, throughout my entire life, have been my Jewish Family Services. From putting a roof over my head, feeding me, helping me through school, assisting me in all my university applications, editing my resumés, introducing me to potential employers and coaching me for interviews, to counseling me through difficult times, and the list goes on and on. Not to mention the help they provided other family members. All the services required to care for my four grandparents at various times in their lives closely resemble the ones offered through JFS. My parents drove them to appointments, helped get groceries, provided in-house care when necessary, brought them meals, managed their medications and advocated for them. They drove them to and from our Shabbat dinners and all the events in the community, ensuring they could attend shul, family celebrations, holidays and fundraisers. We are always reminded that it takes a village to raise a child. When I reflect on my childhood or on my children’s lives thus far, it couldn’t be truer. The people in our lives that we rely on – friends, family members, professionals – all have played such an important role in getting us to where we are today. If we take a minute to reflect on how dramatically different our lives would be without this support system, I think we would be amazed. So many of us are so blessed to have this network, this “village.” However, many people in our community are not so lucky. Thankfully and fortunately, they can access the village that is Jewish Family Services. If your story resembles mine in any way, I believe it is our good fortune that finds us in a life of comfort and security. I feel privileged to be part of this amazing organization and to be able to donate time and money to help those who aren’t as fortunate, so they can have affordable access to JFS and all the wonderful services they provide. Sitting in the JFS client base are this community’s greatest and most hopeful assets,” said Jewish Family Services Innovators Lunch keynote speaker Leonard Brody. Donating to JFS is not charity, he said, but rather an investment with high returns. The 600-plus attendees at the JFS’s main annual fundraising event obviously agreed. At press time, more than $350,000 had been raised for the agency’s work, and donations were still coming in, making this year’s lunch the most successful Innovators yet. All of the lunch guests were given a bag full of items – including some packaged food, toiletries, a poncho and gloves – and asked to give it to someone on their way to work or to a JFS client. 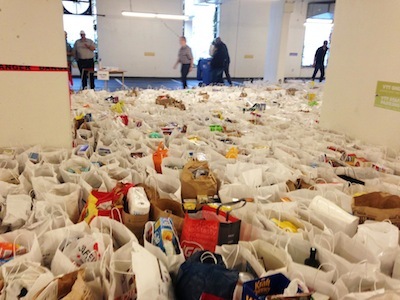 The bags were packed by more than 80 kids and their families at Beth Israel a few weeks earlier. Among those who Ezekiel and Stein Thal thanked were the event’s corporate sponsorship committee, chaired by Audrey Chan; the more than 40 sponsors at the lunch, who had “helped contribute over $183,500 … a record in sponsorship for this event”; the 28 table families; day-of-event chair Dr. Sherry Wise; and JFS’s Maya Dimapilis and her team. The lunch was co-presented by the Diamond Foundation, Austeville Properties Ltd. and Shay Keil; Neil and Michelle Pollock matched every new or increased portion of a donation raised through the lunch, up to $25,000, which was dedicated for the Jewish Food Bank. As for how the internet has changed our institutions, Brody gave the example of marriage. As of the end of 2017, he said, “two-thirds of all new marriages in the Western world originated online” – and, for those who met their spouse online, the likelihood of divorce is 15 to 20% less. “The algorithms on these dating sites work from a data perspective,” he said. And, connected to the institution of marriage, he noted that, in the 2016 census, about 40% of Canadian adults reported themselves as living alone, while, in 1955, that statistic was four percent. Currently, there are up to three-and-a-half billion people on the internet, he said, and, over the next two years, another billion people will join. This new billion will be “one of the most significant economic events in human history, if not the most significant,” he said, noting the amount of money to be made from e-commerce. He concluded, “Why are we talking about The Great Rewrite and the rewrite of this planet at a JFS Innovators Lunch? There are two specific reasons. The first is this massive shift in institutional power that’s coming…. And the second has to do with math, pure math; in particular, the number 70. Why 70? According to StatsCan, 70% of all charitable donations in this country come from primary donors – 70% come from a small group that make up the vast majority of the donations. So, I started to do a little bit of digging and I brought in my friends and partners at Forbes to help me out on it. It turns out, if you look through the Forbes millionaire and billionaire list, which many Canadians sit on, it turns out that … 70% of that [primary donors] group came from nothing” and could have been clients of an organization like JFS at one point in their lives. In the second of a series of articles on sexual harassment and violence in the Jewish community, the Jewish Independent speaks with Dr. Alan Stamp, clinical director at Vancouver’s Jewish Family Services. The #MeToo movement, founded by Tarana Burke in 2006, is based on the concept that empowerment for scores of survivors is possible through empathy – from survivors knowing they are not alone. The movement aims to achieve radical community healing and disruption of all systems that have allowed sexual violence to flourish. Dr. Alan Stamp, clinical director at Vancouver’s Jewish Family Services, stressed the particular need to protect children. From a psychological standpoint, around the age of 9, there is nothing worse than what is called a “boundary violation” of a young person inflicted upon him or her by an adult. Stamp went on to explain that children have simple intellectual lives, in that they expect to be cared for in a way that is warm, nurturing and attentive. “When abuse happens, this is stripped away,” he said. “The impact on the developing psyche is that … I have to be vigilant, watchful, that there could be danger all around me…. And, it could be a teacher, an adult and/or a family member. Young people who have had this kind of experience develop all kinds of coping strategies – from withdrawing, to acting out, being aggressive and developing learning problems. These coping mechanisms can last a lifetime. Outside of explicit sexual abuse, other forms of abuse include emotional abuse, which can involve behaviour that is berating, condescending, hostile or threatening. “This can be telling a young person that, if you don’t get a top mark in your class, you’re going to ‘suffer these consequences’ – like withdrawing food, be sent to the basement as punishment, neglect, or any manner of things,” said Stamp. Another form of abuse is physical. “I’ve seen kids who’ve been hit by cast-iron frying pans on their head,” said Stamp. “I can tell you what parents are meant to do,” said Stamp. A parent “is meant to provide their child with guidance, affection, warmth, food, shelter and education. And, when a parent or caregiver is withholding things, punishing without a clear reason, disciplining inappropriately for the offence – all of these things are felt as abuse to a child. Financial abuse is more often seen among adults, when someone is in a relationship – a spouse, significant other or adult child, for example – takes control of the other’s bank account. Stalking is a form of psychological abuse, making a person feel threatened and unsafe in their own home, neighbourhood or community. And there is sexual harassment. Violence can be two-sided, where both parties are abusive toward each other, or one-sided. For people who are in an abusive relationship, it is often difficult to leave an abuser. Violence against women is a form of very fierce oppression, according to Stamp. “It oppresses their spirit. They often will say that they should have left and that they knew they had to, but that they couldn’t – that they felt paralyzed with fear for themselves or of harm coming to them, their child or to other family members … or that they didn’t have the confidence to leave,” he said. Stamp said it is important to remember that abuse is often passed down in families. If you were raised in a home where your parents yelled at each other, hurt each other, used foul language or were otherwise disrespectful, you have a much greater chance of being abusive yourself. “Using one’s anger is a way of trying to gain control and to oppress others,” said Stamp. “Abuse is something that tends to be systemic, so it can be familial…. It can go back in time and come back to haunt us in the present. Stamp said the only way to create change is by means of awareness and education – through campaigns, schools, reporting, and by having community services that can positively intervene. For more information about the counseling services offered by JFS, visit jfsvancouver.ca or call Stamp at 604-637-3309. At Jewish Family Service Agency’s 81st annual general meeting on Nov. 29, Richard Fruchter, chief executive officer, announced that the agency will be shortening their name to Jewish Family Services. The organization has also launched a new logo and website at jfsvancouver.ca. JFSA has been in a period of growth over the past four years,” said Fruchter. “However, when it came time to looking at our website and logo, we knew they had difficulty connecting with current audiences. 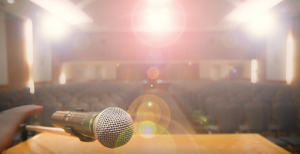 “In response, we created a marketing task force that consisted of some key community members and professionals to guide us in refreshing our look and giving us the tools to present ourselves in a more vibrant and professional way. The AGM also featured the unveiling of JFS’s new logo. In addition to the new logo and look, Fruchter said, “We also have a new tag line, ‘Uplifting Lives.’ It’s exactly what we do here – we uplift the lives of families and individuals in our community who need our help. It works both ways, though – we also uplift the lives of our members and donors who are participating in tikkun olam and gemilut hasadim – repairing the world through acts of loving kindness. “We’re proud to present these marketing initiatives on behalf of JFS to our community. We feel it’s a refreshing representation of who we are and the work we do, which is grounded in the values and mission of our organization. The new website is now live at jfsvancouver.ca. JFS will be phasing out its old logo and branding materials by the end of 2017. At the AGM, Karen James received the Naomi Gropper Steiner Visionary Award, given to a past board member who went over and above in their duties. She stepped into the top volunteer job at the agency at a critical time and guided JFSA to provide significantly more services to the community. Shelley Ail received the Paula Lenga Award for her major volunteer contribution over a decade to the Jewish Food Bank and her commitment to coordinating volunteers and organizing JFSA’s annual Friends Campaign phone-a-thons. Schara Tzedeck Congregation received the Community Partner Award. JFS’s Volunteer Appreciation Award recipients were Ros Calof, for her work with the seniors lunch program, and Lina Moskaleva, for supporting its mental health outreach program. The work of the staff was also celebrated – Staff Term of Service Awards went to Alan Stamp (10 years), Zanna Linskaia (10 years), Naz Gurbuz (five years) and Tanya Skovorodnikova (10 years). Bill Kaplan, JFS board chair, introduced the new board members: Judith Cohen, Shannon Gorski, Peter Hotz, Simone Kallner and Michael Kaplen. Along with the nominating committee, Kaplan recruited a strong and talented group of community members. 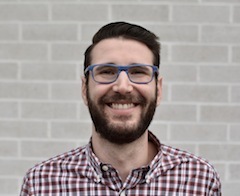 The board of directors of Hillel BC Society has unanimously approved the appointment of Sam Heller as the next executive director of Hillel BC. The appointment will be effective July 1, 2018. Sam Heller will be the next executive director of Hillel BC. Over the years, Heller has repeatedly exhibited exceptional leadership skills in a variety of positions. While attending the University of British Columbia, where he received a bachelor’s in political science, he led the fight against antisemitism and anti-Israel activities on campus. In an effort to make an even more significant contribution to the Jewish community, Heller moved to Israel and joined the Israel Defence Forces, where he achieved the rank of sergeant, Infantry Brigade, and earned an honour of excellence. Heller returned to Vancouver and was hired by Hillel in 2015 to be the program/outreach coordinator responsible for directing social, cultural and educational programming at seven universities in the province. His ability to communicate with people of all ages, combined with his keen understanding of the campus and Vancouver Jewish communities, fluency in Hebrew and proficiency in social media marketing, have made him an invaluable member of the Hillel team. In recognition of these qualities, he was promoted to program director in 2016 and to managing director in June 2017. Rabbi Philip Bregman will continue in a part-time basis as Hillel rabbi, whose duties will include Jewish chaplaincy and fundraising.